Suffolk is a wonderful place to enjoy walking. Its diversity of landscape is unrivalled, from the peace and tranquility of the countryside to quaint market towns and villages and of course, the beauty of the Suffolk coast. Suffolks relatively flat terrain makes for some spectacular skies and vistas, plus being easily accessible it's ideal for walkers of all abilities. 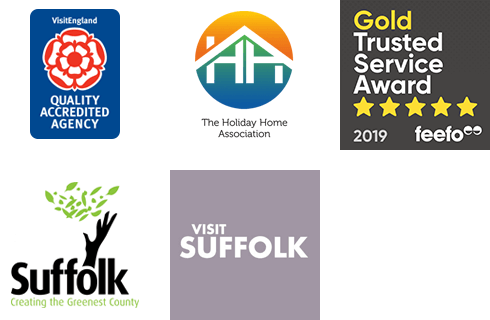 Suffolk Secrets is the county's leading holiday letting agency with over 440 VisitEngland assessed holiday homes available to book. Our friendly and professional staff are all local so can offer you informed advice on things to do and places to visit during your stay. We are proud to offer members of the Ramblers Association an exclusive membership benefit - no booking fee on any Suffolk Secrets booking, saving you £30 each and every time you book with us. Simply enter the promotional code "RAMBLER" when you book online or if booking by telephone mention it to your friendly book advisor. This exclusive member benefit is available for bookings made before 31st December 2016 for stays taken during 2016 and 2017. We reserve the right to withdraw this offer at any time. You may be asked to provide your Ramblers Association membership number. Yaxley Manor is an ideal base for a walking break in Suffolk. Set in the beautiful Suffolk countryside, close to the Norfolk border, these three newly refurbished properties are ideal for exploring the market towns of East Anglia. The Suffolk Coast and Heaths AONB is just a short drive away too offering a contrasting environment for your stay. You can win a three night stay for two people at one of the three beautiful holiday homes at Yaxley Manor. Simply complete the form below to take part. The prize draw will take place on Friday 12th August and the winner will be notified by email. The prize is a three night short break for two people and it can be taken any time during 2016 at any of the three Yaxley Manor properties. This offer is non-transferable. By entering this competition you give consent to receive marketing communications from Suffolk Secrets. You can opt out of these messages by replying to the email you will receive to confirm your entry with the words 'NO MARKETING'. THIS COMPETITION IS NOW CLOSED.